Who would have believed, just a few years ago, that a single online platform would help people navigate through the many complex steps of international trade? Thanks to China-Africa E-Commerce Co. Ltd., this dream is now a reality. Born in December 2017 in Chengdu in southwest China's Sichuan Province, this new Chinese company has only just launched the first and sole platform dedicated to China-Africa business-to-business e-commerce on June 6 in Beijing. With a trilingual support system in Chinese, French and English, the platform, Ca-b2b.com, provides the full range of services needed for international trade, covering contracting, payment, logistics, insurance, customs declaration and foreign exchange transactions. This was made possible through multiple agreements with third-party service providers such as insurance company China Taiping, China Logistics, UnionPay International and Industrial and Commercial Bank of China. The platform also enjoys the enthusiastic support of several African partners. Since its creation, it has concluded cooperation agreements across the continent, including Cameroon, Ethiopia, Ghana, Nigeria, Tanzania and Zimbabwe. In March 2018, representatives from the platform were invited to the Senegalese Embassy in China to exchange ideas on the promotion and authentication of companies and payment procedures by UnionPay, leading to an agreement between the two parties. Such enthusiasm can be explained by the impressive commercial volume between China and Africa. On July 4, Chen Xiaodong, China's Assistant Foreign Affairs Minister, addressing the participants of the Seventh Meeting of China-Africa Think Tanks Forum in Beijing, said that "over the past 40 years, economic and trade cooperation between China and Africa, whose interests are closely related, has made great strides. The volume of China-Africa trade has increased by more than 200-fold, from $765 million in 1978 to $170 billion in 2017. China has been Africa's largest trading partner for several consecutive years. The stock of Chinese investments in Africa, which was originally zero, today amounts to $110 billion." In the long term, experts also believe that the Belt and Road Initiative will support the promotion of the African Union Agenda 2063. Ca-b2b.com intends to play an active role in this regard. "The platform aims to solve problems hindering conventional trade, which is time-consuming and involves complicated payment procedures in terms of customs clearance, logistics, etc. In particular, we are tackling the difficulties faced by small and medium-sized enterprises (SMEs) from both China and Africa in their import-export trade," said Hou Zhigang, Board Chairman of China-Africa E-Commerce Co. Ltd. Indeed, conventional trade has always struggled with a number of difficulties due to its low efficiency, high complexity, high costs and long business cycle, in addition to various trade barriers. Cross-border e-commerce is to a large extent able to overcome these issues. Ca-b2b.com brings together under a single roof all relevant links and services, especially the most time-consuming procedures such as customs clearance, payment and logistics. "The platform covers the entire process of international trade, which reduces the number of intermediate links and saves both money and time," said Hou, adding that the launch of the e-commerce platform will bring security, convenience and profitability to Chinese and African companies alike. According to Ge Liancheng, President of the China Customs Brokers Association, following the rapid growth pattern in China's foreign trade, the volume of customs transactions has grown phenomenally. In all, China's General Administration of Customs carried out 660 million foreign trade transactions involving e-commerce in 2017. The association is putting its hopes on "Internet + customs" solution to help facilitate customs clearance. Essentially, this means leveraging the Internet to electronically process customs declarations and clearance of cross-border e-commerce. This kind of innovation necessarily requires close cooperation with the customs administrations in African countries, said Ge. "Chinese and African customs must meet monitoring standards, improve coordination mechanisms and accelerate information exchange to create a harmonious and coherent environment," he said. In March 2018, diplomats from Benin, Niger and Tanzania paid a visit to the China Customs Statistics Information Center in Beijing. Simon Adovelande, Benin's Ambassador to China, said he hopes that Chinese customs authorities can help update his country's customs administration, in order to connect the two countries' customs systems as soon as possible. In that respect, the ambassador said he was expecting a lot from the Ca-b2b.com platform. In fact, the World Trade Organization (WTO) has long been committed to reducing "delays and red tape that hinder the passage of goods across borders." On February 22, 2017, the Trade Facilitation Agreement concluded by WTO members came into force, with the support of China and 28 African countries. In particular, China played an important role in supporting the implementation of this agreement, thus reiterating its commitment to trade facilitation. Along the same line, the Report to the 19th National Congress of the Communist Party of China underlines that China "will implement high-level trade liberalization and facilitation policies." 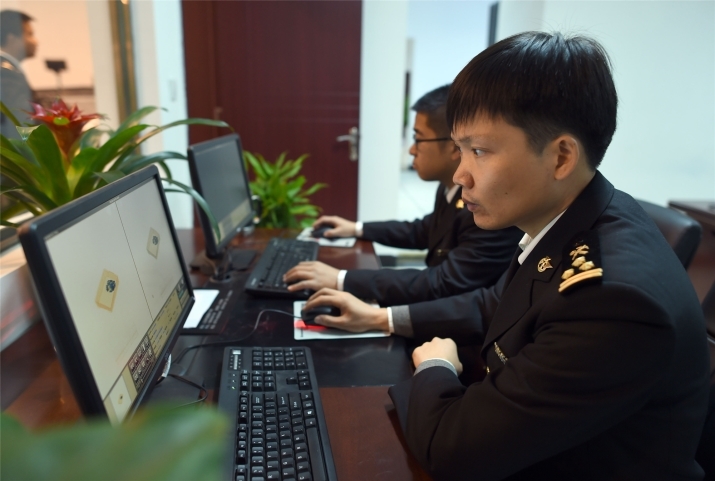 On the very day Ca-b2b.com was launched, 1.39 million Chinese companies were verified and confirmed by six ministries as the first batch of its members. Nearly 6 million SMEs will become potential customers on the platform in the future. And it is only a matter of time before African companies join them, as spots have already been reserved for them on the platform.